Searching for a real mojito in 2018. 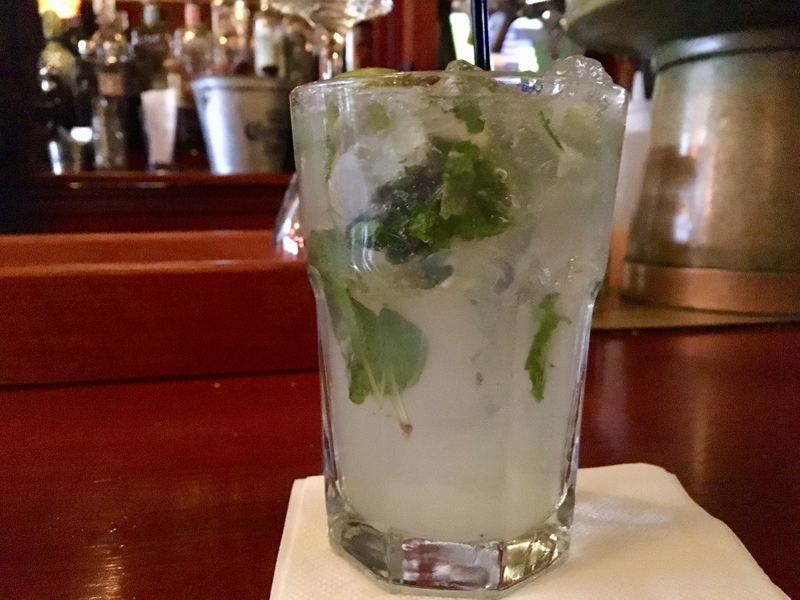 The legendary and refreshing mojito has garnered somewhat of a fixed existence in the saratoga living team’s boozy repartee recently. Along with The Bachelor, Publisher Becky Kendall’s love life and how young I am (22), you can count on the minty cocktail coming up in conversation weekly, if not daily. It’s no surprise really, given Editor in Chief Richard Pérez-Feria’s Cuban heritage (though his latest cocktail of choice is actually the Manhattan-born Moscow Mule) and the fact that it’s one of two drinks I know how to order at a bar. (What can I say? In college we drank the cheapest beer we could find.) And it’s really no surprise, given the fact that I can’t get one. Anywhere. It’s true: In Saratoga, in the year 2018, the mojito has proven not just elusive but borderline ethereal. Buried beneath this foot of snow, it’s hard to remember that such a sumptuous summertime drink exists, especially when bar after bar can’t produce one; well, a proper one. Since January 5, I have requested a mojito at five well-heeled Saratoga establishments, only to be let down easy that the bar was out of mint. (Correction: One waitress didn’t tell me they were out of mint, she just brought me a mint-less mojito—no bueno.) My boyfriend, another mojito aficionado, has honestly considered going out to dinner with a stash of mint leaves in his pocket for situations like this. 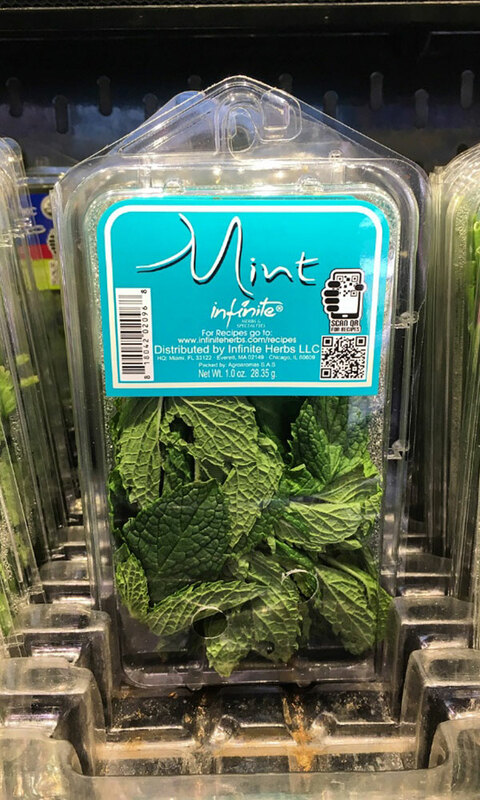 Mint on the shelves of the Price Chopper Limited in downtown Saratoga. Mint plants are native to Eurasia, southern Africa, Australia and, get this: North America. It’s so common, you can get it at the Price Chopper Limited in downtown Saratoga. So why don’t restaurants have it? According to a recent Business Insider article, the mojito is the world’s 10th best-selling cocktail in 2018, ahead of the Bloody Mary, the Dark ‘n’ Stormy and the Cosmo (the other drink I know how to order). Food and Wine says it’s the most popular cocktail in the District of Columbia, Arkansas and Florida. And to make it, you need mint, people! Maybe Saratoga restaurants’ mint supply is directly related to the climate. DC, Arkansas and Florida are all warmer than New York, where we, apparently, prefer the Moscow Mule. (I guess Richard made the right choice alcohol-wise when he moved from Florida to New York.) But if that’s true, if it really is the case that people don’t want to sip a summery drink during the winter, why is National Margarita Day in the middle of February? Clearly, there are people willing to trudge through a blizzard in search of a tropical Mexican cocktail: just look at my boyfriend and me on any given Friday night. To recap: the mint is available, the drink is popular and we, the people of Saratoga, demand our mojitos. 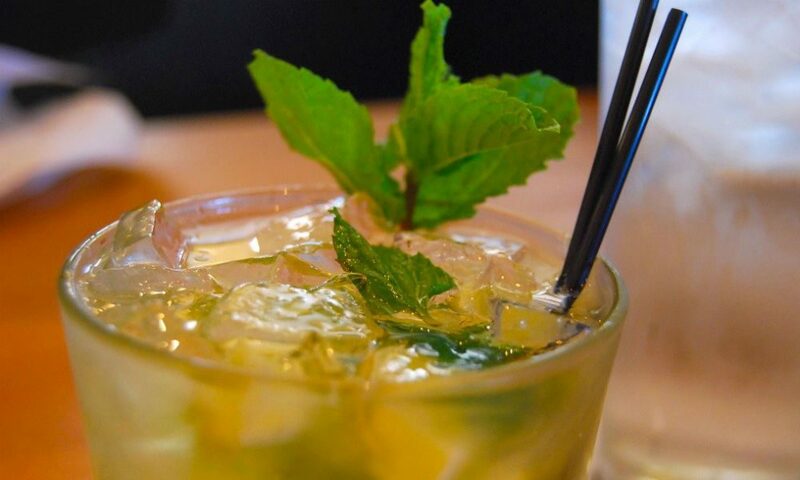 In a world filled with shoveling, snow blowing and brushing the snow off our cars every damn morning, a mojito may just be the one thing that will get us through this winter. After my long quest to find a mojito, Cantina finally delivered. UPDATE: Who would have thought, but the highest profile Mexican restaurant in town serves up a mean mojito, and all I had to do was turn right out of the saratoga living headquarters and walk ten steps to get one. Thank you for restoring my faith in the city, Cantina! And apparently—no one told me—Hattie’s has the best mojitos. More to come on this breaking news.